Isabel Allende Llona (b. 1942), Chilean born novelist (US citizen since 2003). Do not confuse with María Isabel Allende Bussi (b. 1945), daughter of former Chilean president Salvador Allende; cousin of the novelist. Isabel Allende Llona (b. 1942), Chilean born novelist (US citizen since 2003). Do not confuse with María Isabel Allende Bussi (b. 1945), daughter of former Chilean president Salvador Allende; cousin of the novelist. Isabel Allende is currently considered a "single author." If one or more works are by a distinct, homonymous authors, go ahead and split the author. 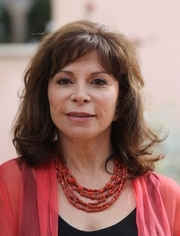 Isabel Allende is composed of 28 names. You can examine and separate out names.